Browse our portfolio and book online your vacation villa in Sicily. Choose you villa by the sea from our selection and enjoy the great sicilian sea! Explore the beauty of the sicilian countryside and book now your farmhouse in Sicily. Tickets to your favorite museum, private and customized tours, and even a meal prepared by an exquisite private chef. Enjoy five star service during your vacation in Sicily. Your wish is our command!! AVIS car hire in Sicily, reserve now with no cancellation fee your car for your holiday in Sicily. Your Sicily will provide you with a personal wedding planner to look after your every need and to make your Sicilian Wedding magical down to the very last detail. 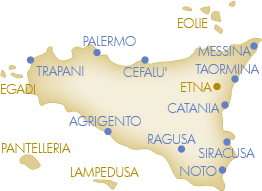 Get information on your upcoming holiday in Sicily ! Weather forecasts, sightseeing & recommended itineraries. YourTuscany Villas 3.3 on 5 4 reviews.